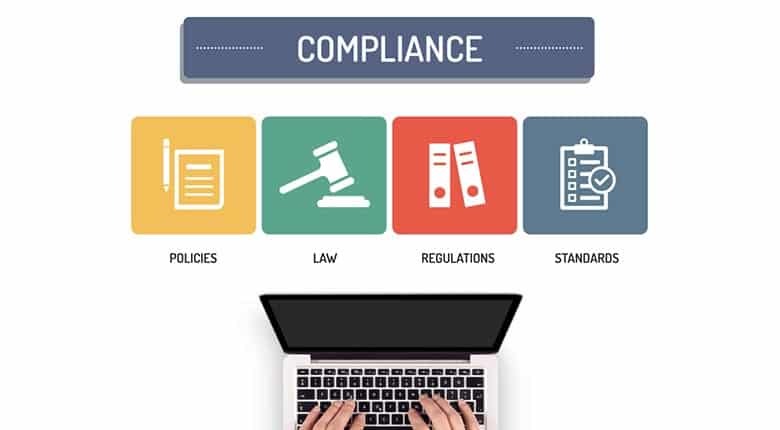 Web compliance – that state of observing and following all accessibility laws and regulations that apply to your website – should be an overall goal for your organization. Why is Website Compliance Important? Two-thirds of Americans now own more than one digital device, such as laptops, tablets, or smartphones. So, it should come as no surprise that eight in 10 people in the U.S. make purchases using one of these devices.1 Increasingly, consumers rely on digital interactions with brands to conduct business and make buying decisions. A sizeable number of these individuals have disabilities. The legislation protecting the human rights of people with disabilities has gradually become more extensive and more relevant, reaching into all areas of day-to-day activities to ensure that barriers are eliminated. And while accessibility in the physical environment is often what comes to mind first, it’s certainly not the only way people with disabilities are participating in society. For any organization that has a website, mobile app or other digital technology to the general public or within a group such as a workplace, web compliance with accessibility standards is an increasingly important consideration (If it’s not, it absolutely should be!). True accessibility means fully meeting the diverse needs of people with disabilities who interact with your company digitally. Disabilities can affect the way someone gets around in their community – they may use wheelchairs, for instance, or service animals. But disabilities can also affect the way someone navigates their digital environment. Someone who doesn’t have full use of their hands may not be able to use a mouse or trackball. They may use a keyboard or voice input instead. Someone with a vision disability may not be able to see the text that appears on their computer screen. They may rely on a screen reader to read the words out loud. A website is considered to be accessible when steps have been taken to ensure there aren’t barriers, or any existing barriers are removed, that might prevent these individuals from using the website. The world population of people with disabilities is growing. In fact, the actual prevalence of disability is also going up, in part because we’re living longer. The rates of certain chronic health conditions that can cause disabilities, such as cardiovascular disease, are also increasing. Even if the number of people with disabilities in our societies were modest, it would be unfair to discriminate based on disability. When you realize, however, that the size of this group is quite substantial – in fact, it’s 15 percent of the global population – web compliance means more than just following human rights laws. Additionally, it’s a way to attract a vast consumer group to your online presence, ensuring they have a quality experience on your website while you introduce them to your products or services. More than a third of U.S. households include someone who self-identifies as having a disability. When members of these households are planning purchases, you can be sure they take notice if accessibility efforts have been made. Since disabilities can affect the way people interact online, web accessibility takes into account all the alternative methods of using technology. That includes keyboard input and screen readers, but also other specialized software, different web browsers, and specialty hardware like switches. Web accessibility also takes into consideration those people who may use conventional technology to go online, but then face potential barriers once they’re there – such as poor color contrast, fonts that are hard to read when they’re enlarged, or video files that don’t have captions. There are many accessibility features like these to consider. Many of the laws in place outline the specific technical accessibility standards required. Fortunately, there are also resources to ensure that web accessibility compliance is a straightforward process. Not only is providing equal access a way to ensure you don’t discriminate, it’s also the law – or should we say laws. It can be confusing and even overwhelming to determine whether or not your organization is covered by some or all of the laws that govern web accessibility, as well as what is required by each one, and how you can ensure you’re in compliance with the law. If you aim for the most universally accepted standard of web accessibility, the Web Content Accessibility Guidelines (WCAG) 2.0, you can be sure you’re providing the best, most barrier-free experience possible to the disability community. The World Wide Web Consortium (W3C)’s Web Accessibility Initiative led to its development. The Rehabilitation Act, which in Section 504 requires all federal government-funded programs and activities to be accessible. Section 508 requires all electronic and information technology in these programs to be accessible. The Americans with Disabilities Act (ADA), which bans discrimination against any person with a disability in the United States. The Accessibility for Ontarians with Disabilities Act (AODA),2 which requires Ontario websites and web content to conform to the standards of WCAG 2.0. How can you ensure that your website is in compliance with accessibility requirements? There are a few steps you can take. If you believe you’re already in compliance, then you might test your website out with an web accessibility evaluation tool, also called a validator. A WCAG validator is an automatic website compliance testing tool, so when you plug in your URL, you’ll receive an instant report back. These kinds of web accessibility checkers provide guidance – they’ll give you a fair idea of how well you’re doing – but because they’re automated and not necessarily thorough, there’s no guarantee of web accessibility. They’re also not a repair service, so if a validator does identify barriers on your website, you will need to find a way to remediate them – and maintain your site going forward. The next step, then, is to turn to a qualified, experienced accessibility consultant. It’s imperative to seek out a firm that has expertise in web accessibility compliance and a proven track record. They will do a thorough, human-led, hands-on audit of your website, testing all functions and environments. They will assist and guide you with the remediation process to ensure that all aspects of your website conform to a high standard of accessibility. Often, they offer a monitoring service to ensure you stay in compliance. Those who are brand-new to web accessibility are sometimes concerned it might hamper the quality of their website. If they strive to meet all the guidelines, won’t their website’s function and creative flair suffer as a result? It isn’t true. Experts will tell you that design and accessibility go together seamlessly – as they should! They’ll also tell you that people with disabilities have tremendous buying power, and that making a point of engaging these customers is an approach that will pay off handsomely. That’s why we’re confident that website compliance can be appealing on many levels. It’s worth finding out more about how you can ensure that your brand is accessible – and inviting – to customers with disabilities. Online shopping and purchasing preferences. Pew Research Center, December 19, 2016.